tawa pulao recipe | mumbai tawa pulao | pav bhaji pulao with detailed photo and video recipe. 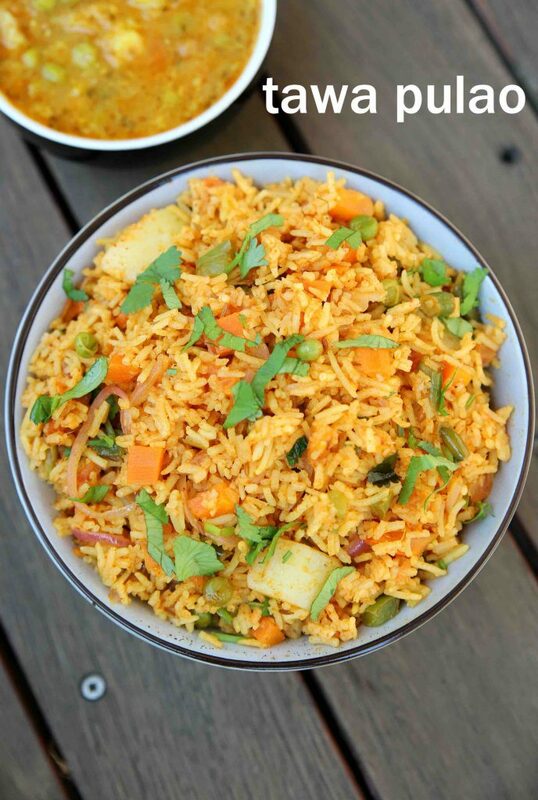 a popular and spicy street style pulao recipe made with long grain rice and pav bhaji masala. it is a widely appreciated quick pulao recipe in india, originated from the local mumbai streets. 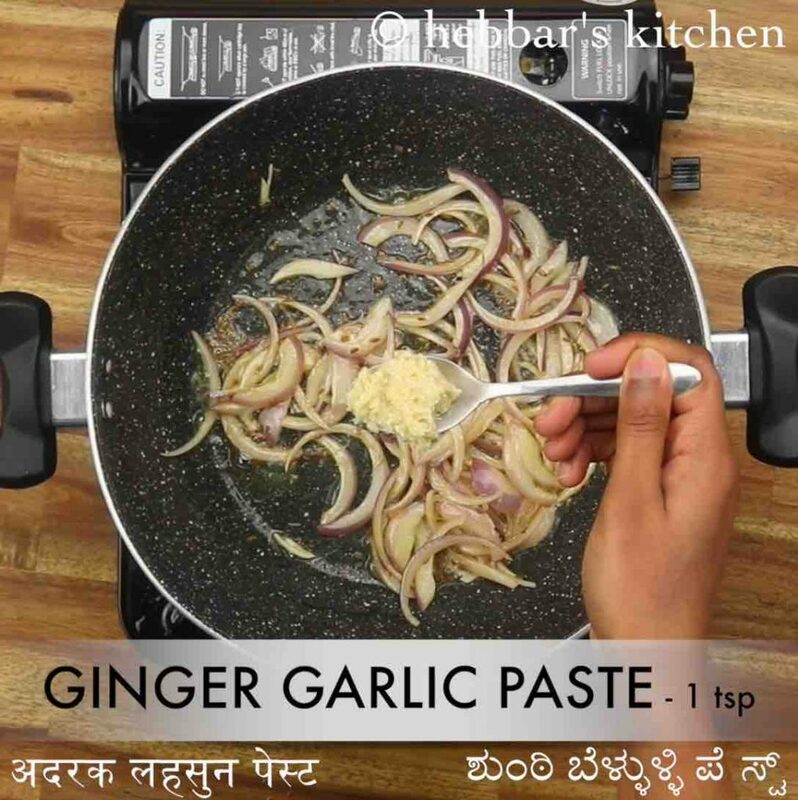 it is spicy and hence served with yoghurt raita, but also tastes great with just by itself. tawa pulao recipe | mumbai tawa pulao | pav bhaji pulao with step by step photo and video recipe. pulao or pilaf recipe is one of the staple food in india prepared for lunch, dinner and for tiffin boxes. having said that, there are many local and street style versions too, which is typically consumed as a snack. mumbai tava pulao is one such easy and quick and easy pulav recipe made with leftover pav bhaji gravy recipe. 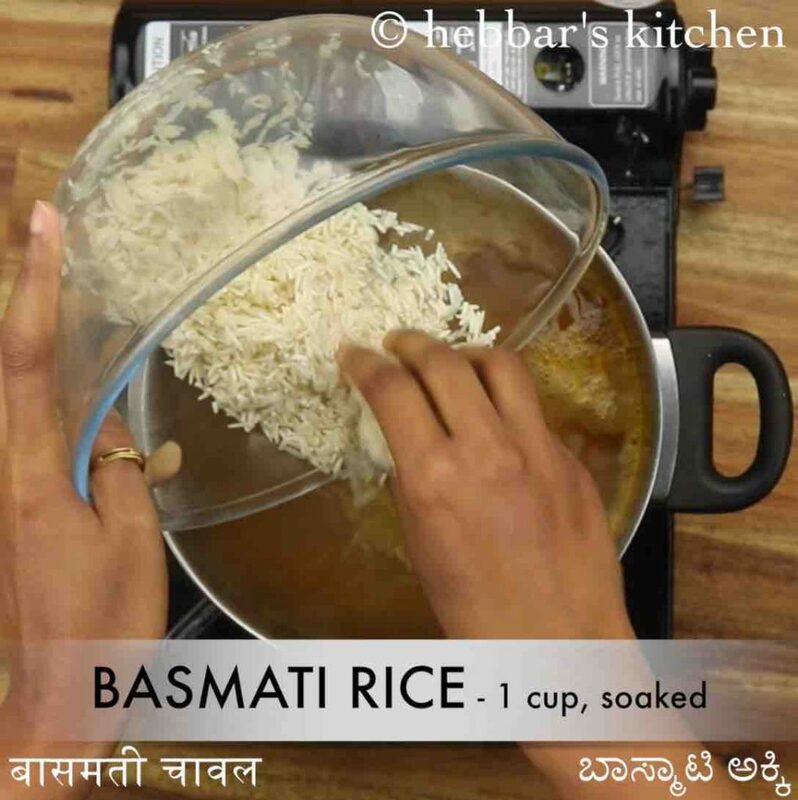 i have shared a lot of rice recipes till which follows the conventional pulao style or a traditional style rice recipe. but this pulao is totally different and follows an unconventional method of street style which is quick and easy. 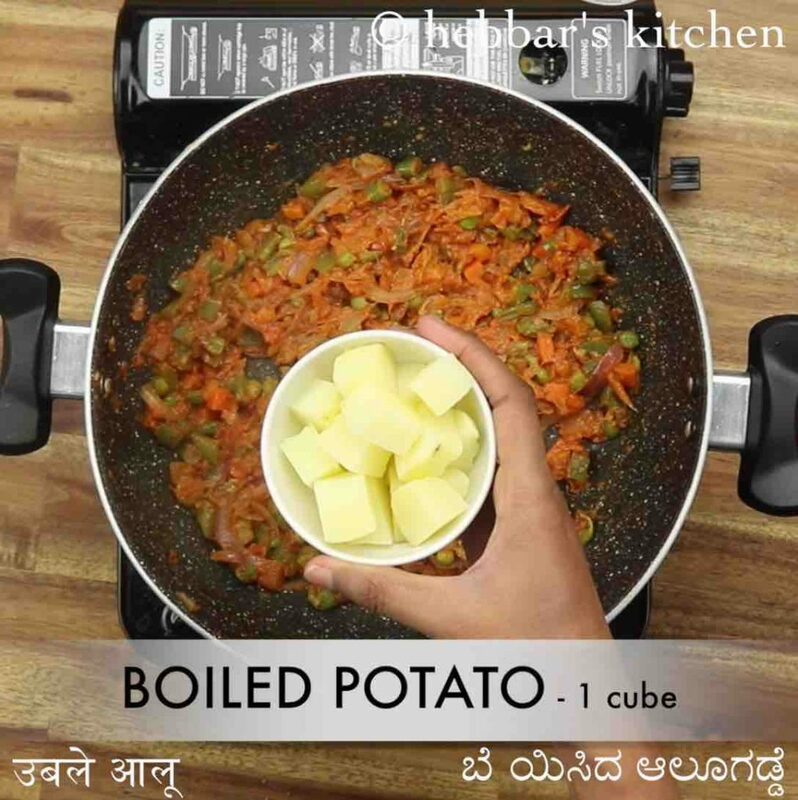 basically, the recipe is made with leftover pav bhaji gravy mixed with cooked rice and roughly chopped vegetables. 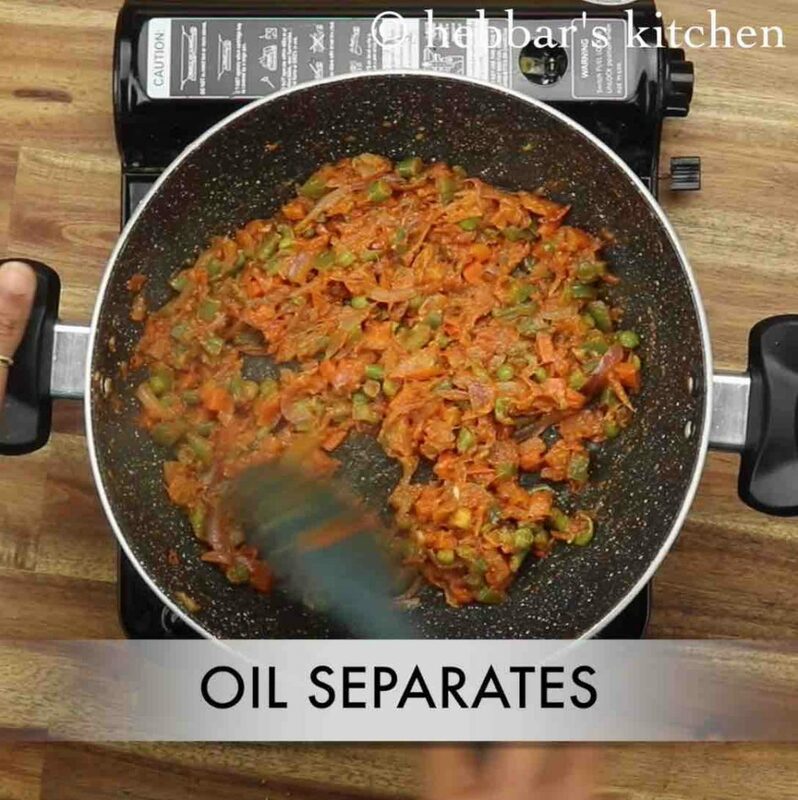 moreover, it is made in large pav bhaji pan where it is mixed roughly and quickly to make a spicy and tasty rice dish. 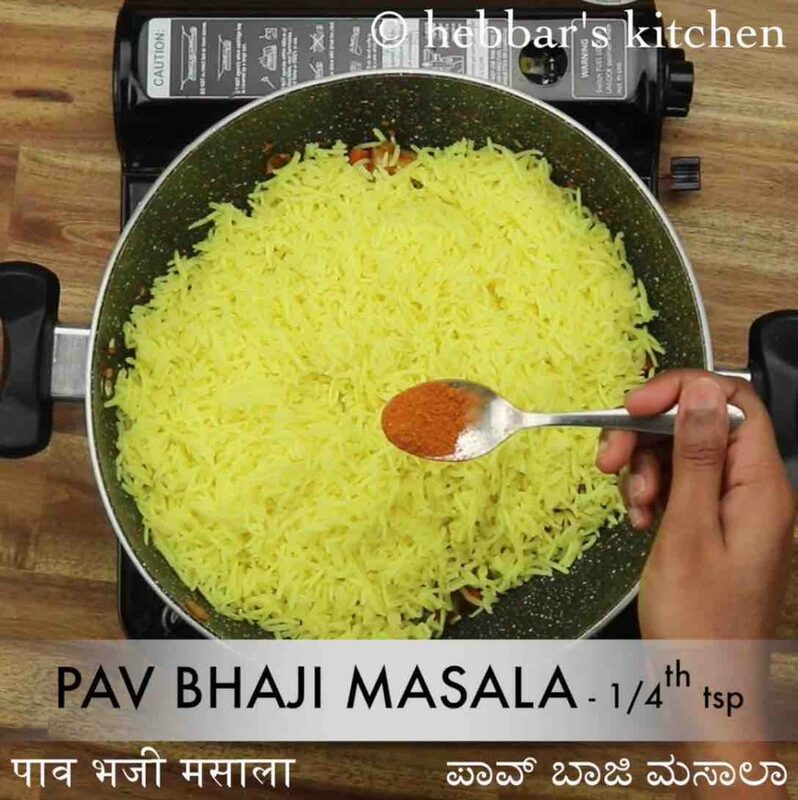 but in this recipe post, i have shown how to make an easy homemade tawa pulao recipe with just pav bhaji masala in large kadai without the necessity of pav bhaji gravy. it is easy and quick to prepare and does not require any types of equipment as you see in a street vendor. 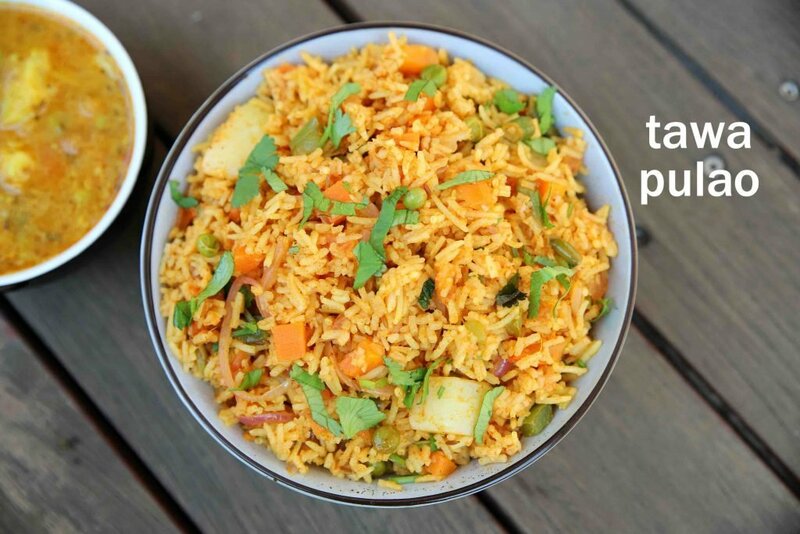 furthermore, i would like to highlight some easy and important tips while preparing mumbai tawa pulao recipe. 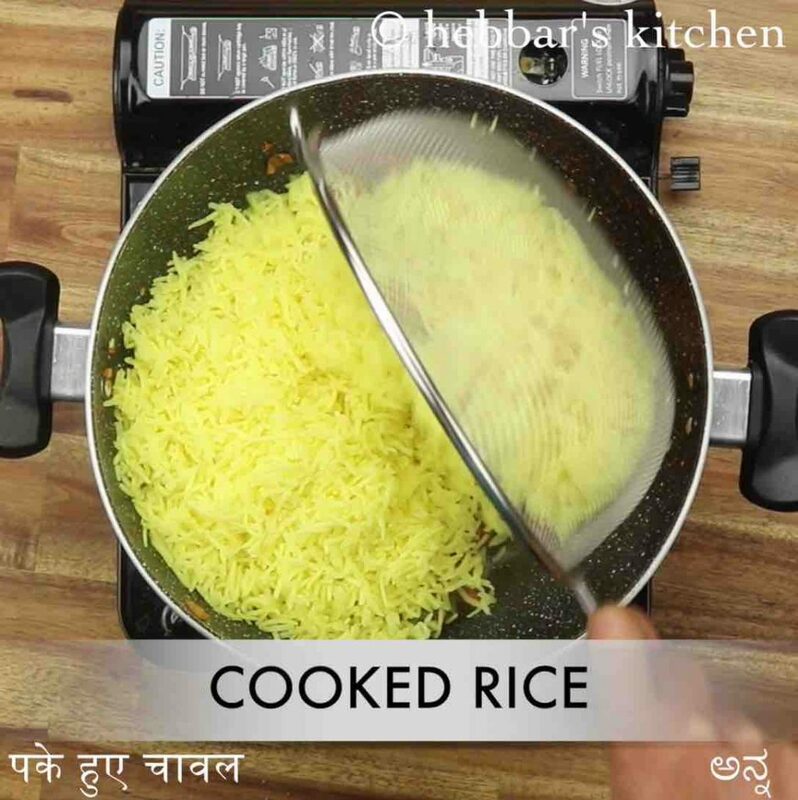 firstly, make sure to cool the rice completely before preparing the tava pulao recipe. or else the rice turns mushy and you may feel the rice like khichdi. you can alternatively use leftover rice to hasten the process. also, feel free to add a variety of vegetables to make it more nutritious. lastly, i have added chilli powder for the extra spice, it can be skipped. or perhaps, you can add it according to you spice preference. note that pav bhaji masala has sufficient spice heat in it. 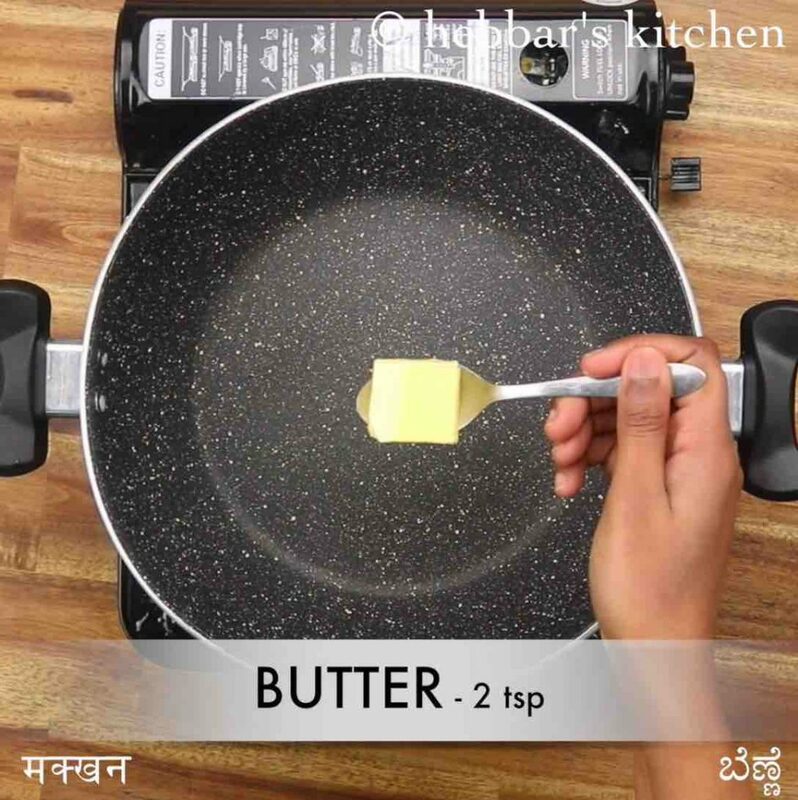 in a kadai heat 2 tsp butter and saute 1 tsp cumin until it turns aromatic. now add ½ onion and 1 tsp ginger garlic paste. saute well. 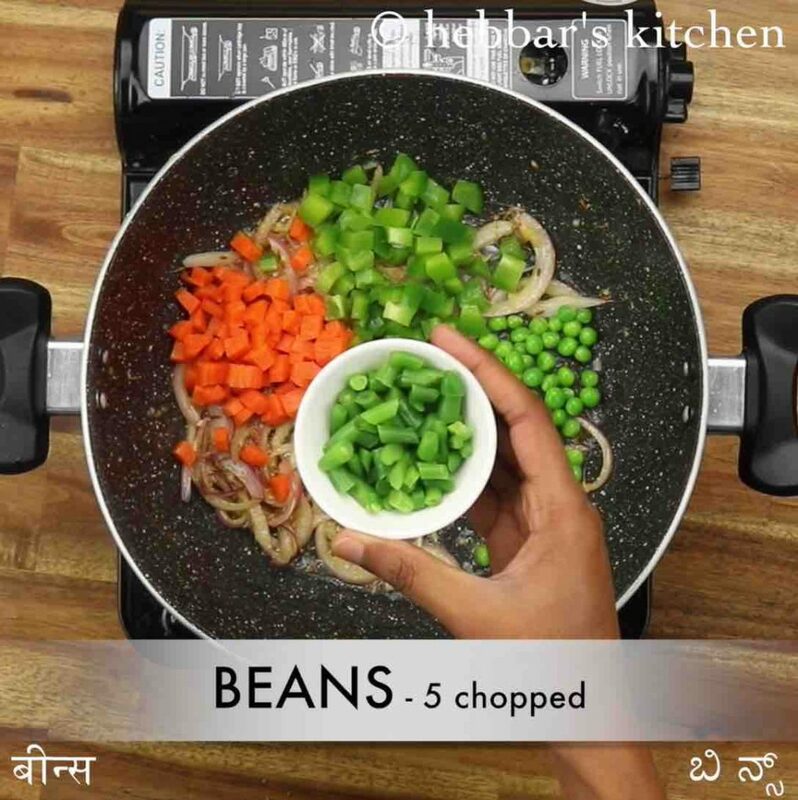 keeping the flame on medium add, 1 carrot, 2 tbsp capsicum, 2 tbsp peas, 5 beans and ½ tsp salt. 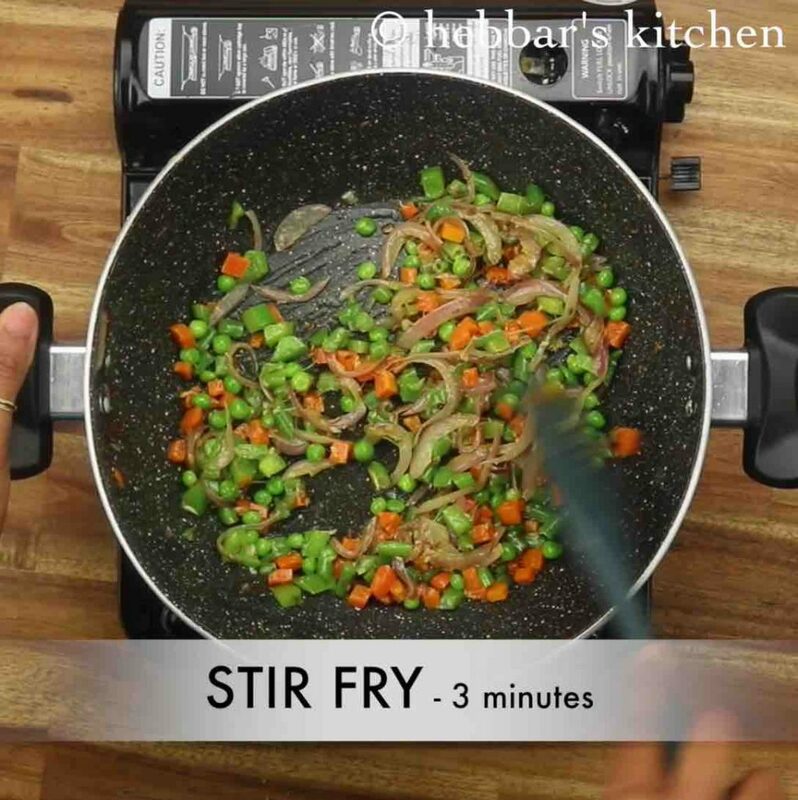 stir-fry for 3 minutes or until vegetables are cooked slightly. now add 2 tomatoes and saute until the tomato turn soft and mushy. 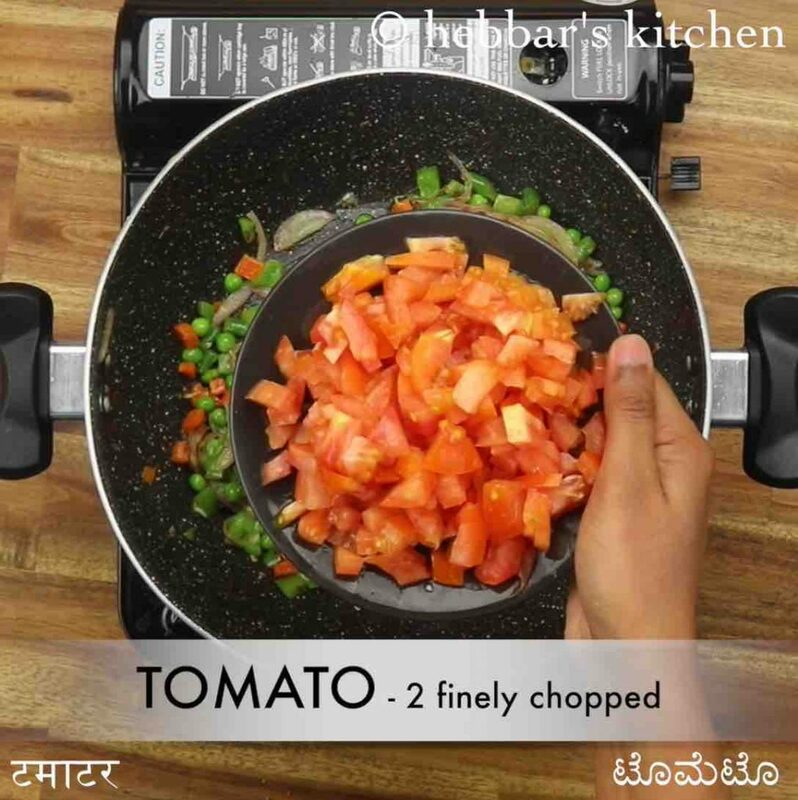 furthermore add 2 tsp pav bhaji masala and ¼ tsp chilli powder. saute until the oil is released from the masala paste. additionally add 1 boiled and cubed potato and mix well. now add in cooked rice. add in 2 tbsp coriander and 1 tbsp lemon juice. mix well. finally, serve mumbai tawa pulao with raita. firstly, in a large bowl soak 1 cup basmati rice for 20 minutes. 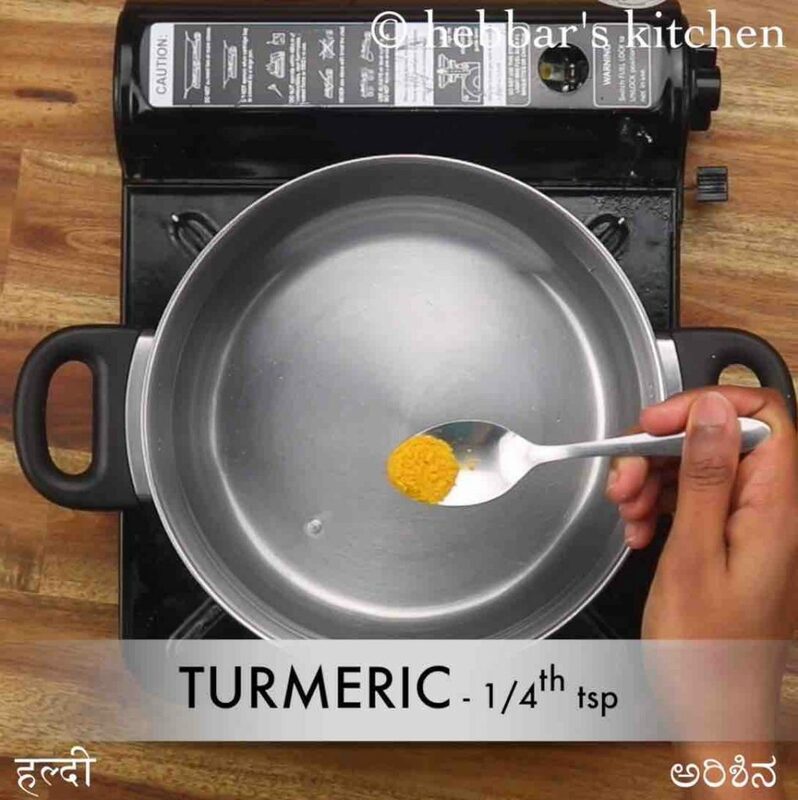 now in a large vessel take 6 cup water, ¼ tsp turmeric, 1 tsp oil and ½ tsp salt. 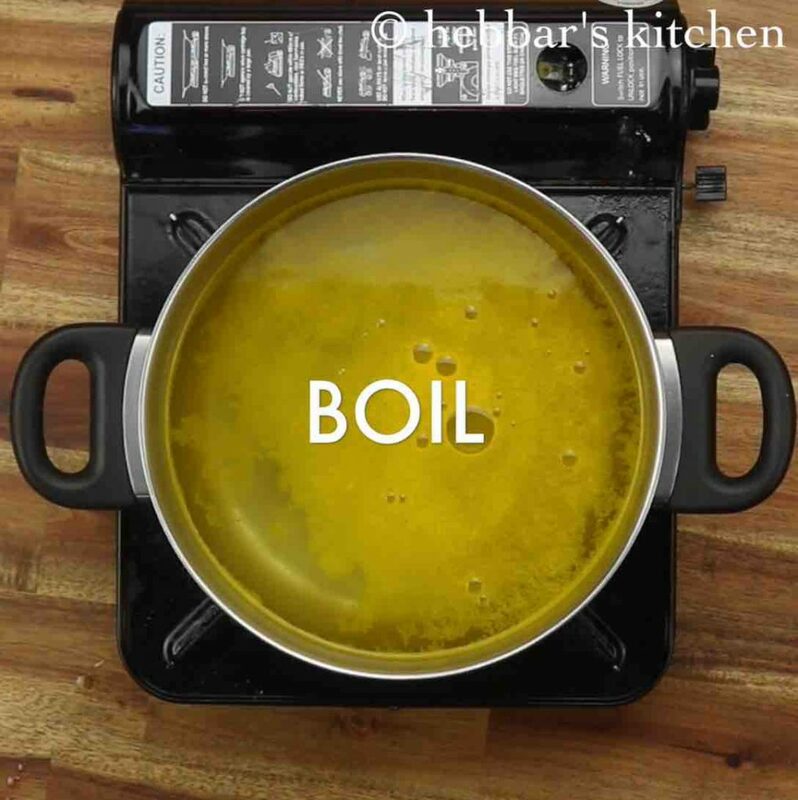 get the water to a boil. further, add in soaked basmati rice. 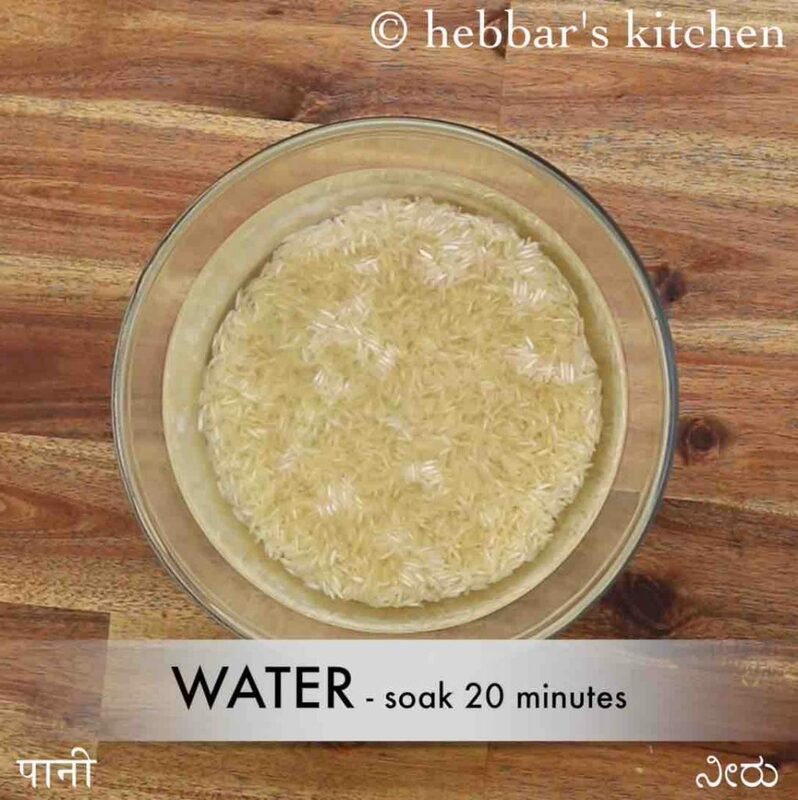 make sure to drain off the water and rinse the soaked rice well. mix well and boil for 13 minutes or until rice is cooked completely. 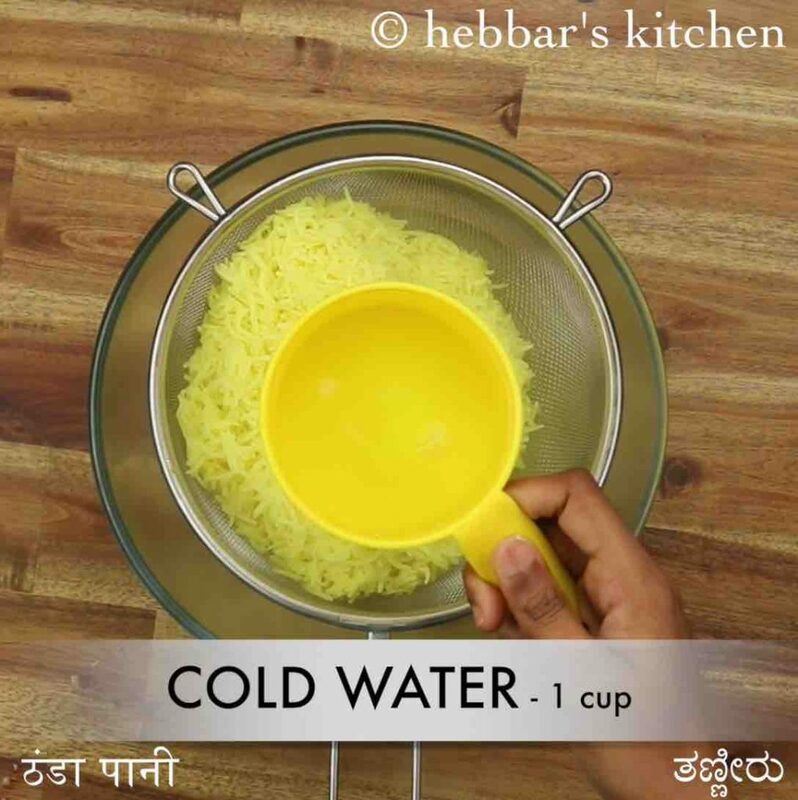 drain off the rice and pour 1 cup of cold water to stop the cooking process. allow cooling completely. now in a large kadai heat 2 tsp butter and melt without burning. 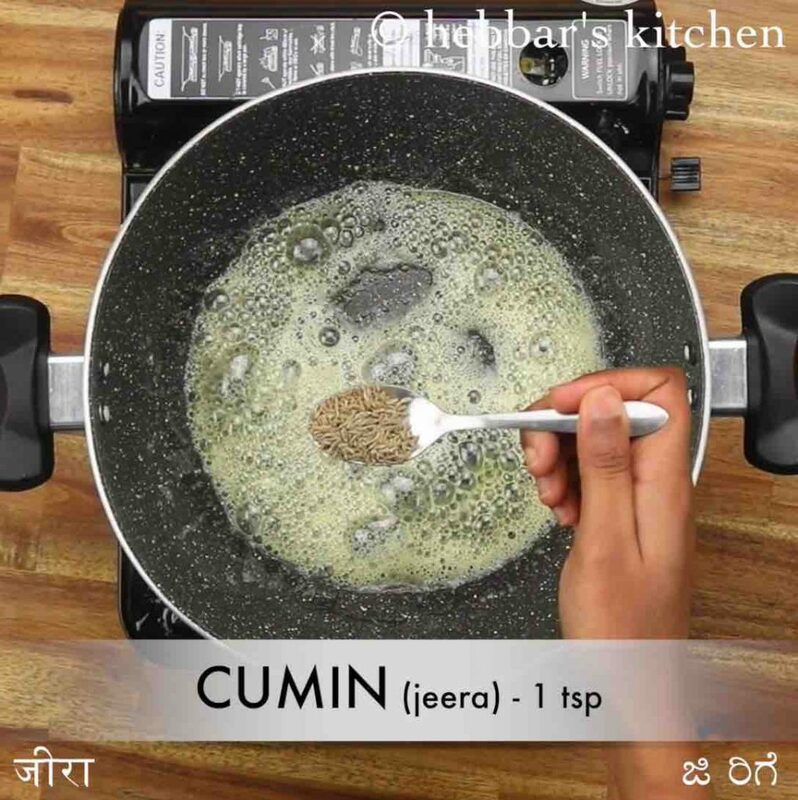 saute 1 tsp cumin until it turns aromatic. now add ½ onion and saute. also, add 1 tsp ginger garlic paste and saute until the raw flavour is gone. 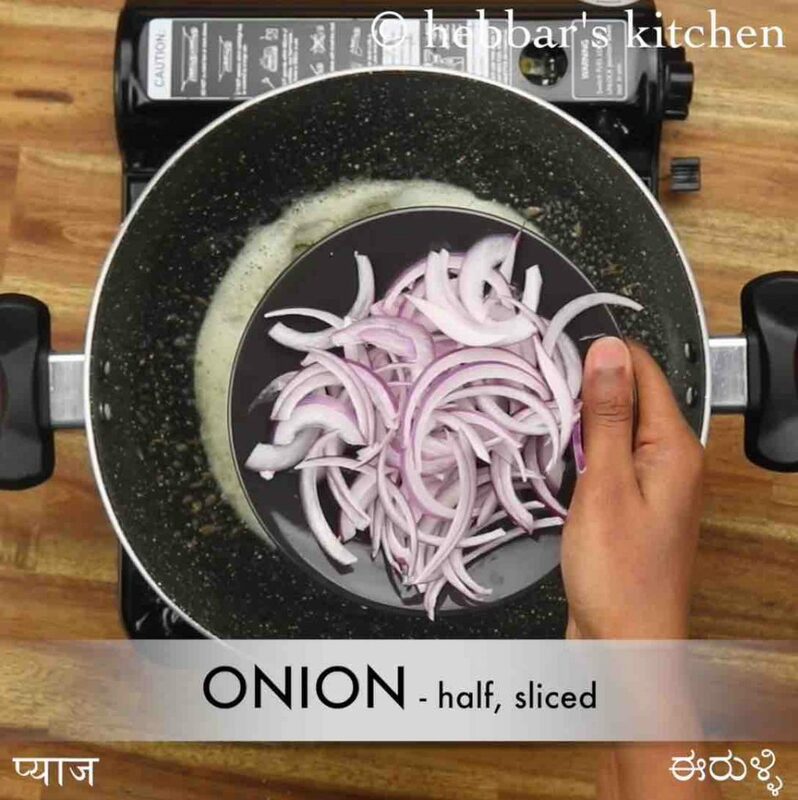 furthermore, add 2 tsp pav bhaji masala and ¼ tsp chilli powder. additionally, add 1 boiled and cubed potato and mix well. now add in cooked rice. 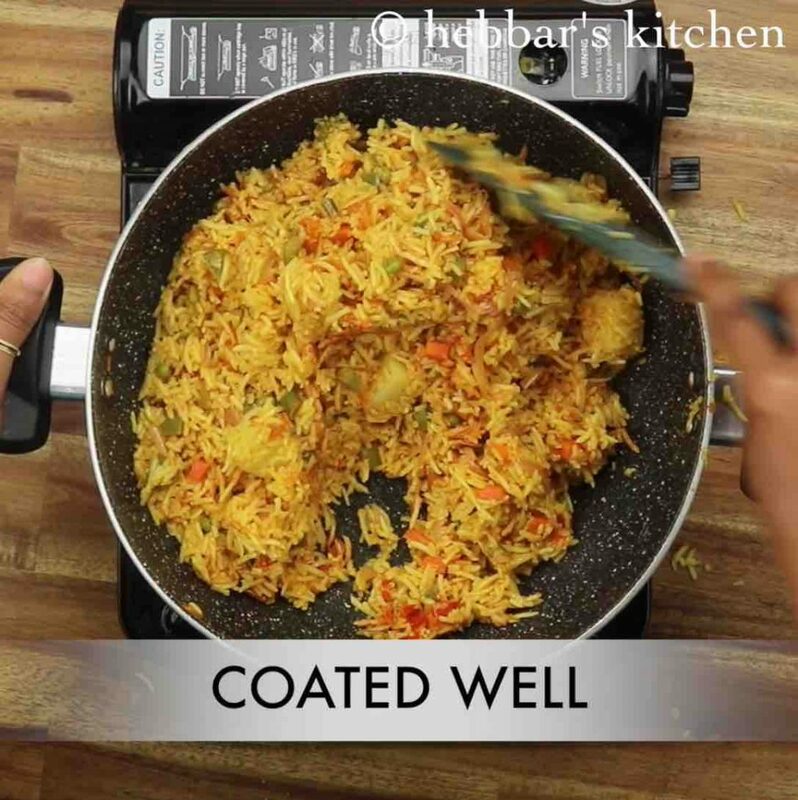 make sure the rice is cooled completely, else pulao may turn mushy. also, add ¼ tsp pav bhaji masala and ¼ tsp salt. 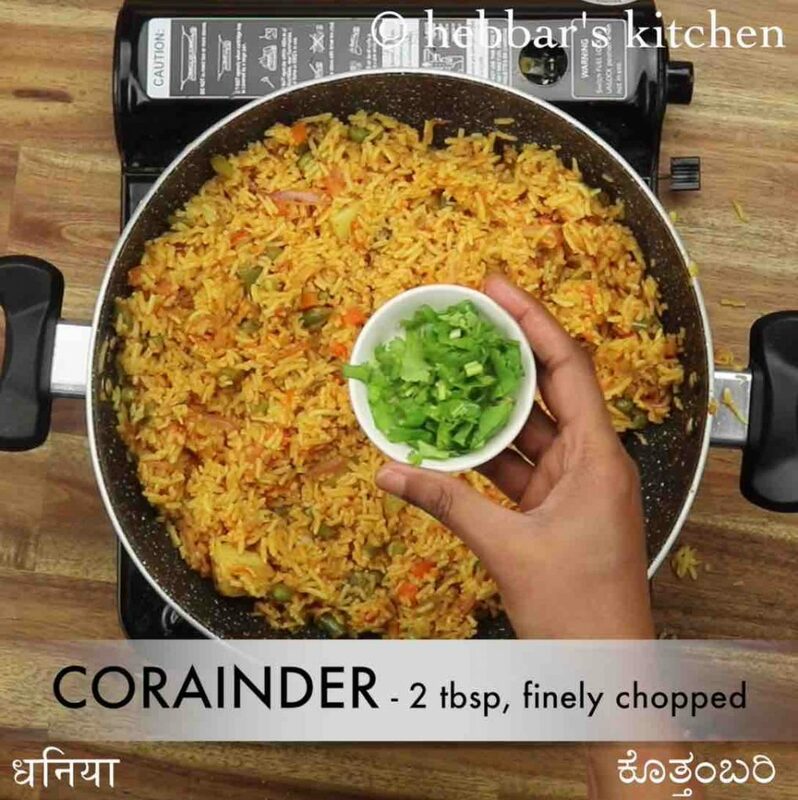 firstly, make sure to cool the rice completely or use leftover rice to prepare tawa pulao. also, add vegetables of your choice like broccoli, snow pea or corn. furthermore, reduce the amount of chilli powder or pav bhaji masala if you do not prefer spicy pulao recipe. 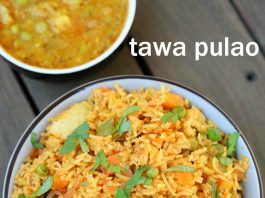 finally, tawa pulao recipe tastes great when prepared hot and spicy.